5 out of 5 stars based on 3 user ratings. Our aloe vera is cultivated on fertile soils in a climate that enjoys over 2,000 hours of sunshine a year, and it’s even been certified by the International Aloe Science Council for its purity. 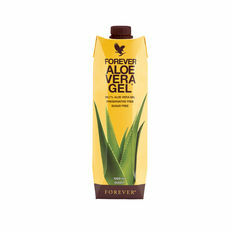 This new drinking gel is as close to the real thing as you can get, boasting 99.7% inner leaf aloe gel, lovingly extracted by hand so that you can experience the true power of nature. This purifying gel now also contains vitamin C which contributes to the normal function of the immune system and to a normal energy-yielding metabolism. Warning If you are pregnant, breastfeeding, planning pregnancy, taking any medications or are under medical supervision, please consult a doctor or healthcare professional before use.